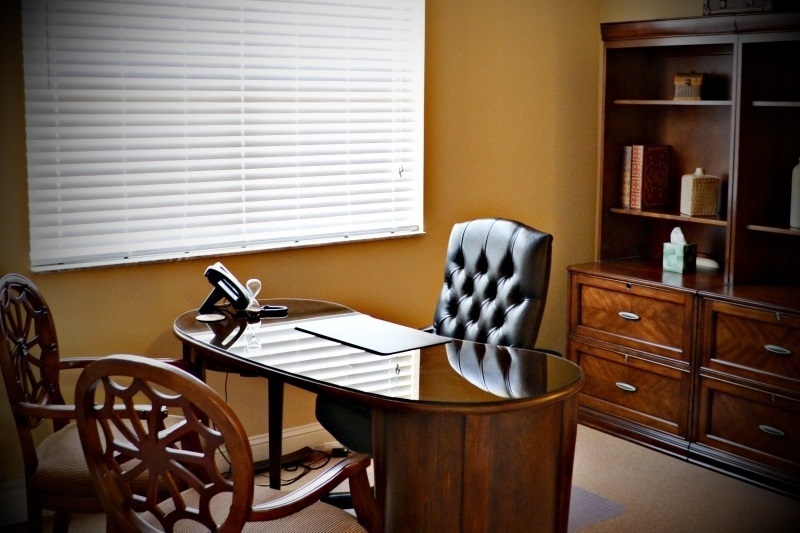 Your OfficeYour Office in Palm Coast - Furnished, Equipped, Wired, and Staffed! Office Divvy is the leading provider of fully furnished, serviced, professional offices and shared meeting rooms in Palm Coast! If you are an entrepreneur or a professional who thinks differently, who would like to run a lean operation, and who places a premium on operating from a business-cluster, that is a hub for entrepreneurs and professionals, then our business location and office solutions are a perfect match for you! Looking for a Virtual Office or Coworking membership? Plans start at $149/month. If you have a location outside of Palm Coast, and are looking to expand into the growing Palm Coast market, our Satellite Office solutions are as low as $199/month. If you’re looking for Dedicated Workspace solution, you can have your dedicated space from as low as $399/month. One Monthly Fee for an Inclusive Office Space Solution! A traditional Office Rental is a passé concept! With affordable, all inclusive plans, both new and existing businesses can be off and running immediately. Our list of members both inside and outside of the area continues to grow with members that are establishing Palm Coast and Flagler County as their primary or satellite office location. Our members include startup and mature businesses and entrepreneurs locally (Bunnell, Flagler Beach, Palm Coast, The Hammock, St. Augustine, Ormond, Beach, Daytona Beach, Jacksonville. Orlando) but even beyond: from as far north as New York, as far West as Texas, and as far South as Fort Lauderdale, our member footprint continues to grow. On exiting COWORK: "It was great, I got a lot accomplished and on top of that my commute home will only be 5 minutes tonight." I like that my students can call and get help when they are online, scheduling or making a payment. I had a student tell me she thought the person who helped her was the nicest person she had ever encountered (Like ever). We wanted to share our thoughts and let you know what an important player you are for our team. Your efforts don't go unnoticed. We know that often times clients can be a challenge, however you handle them like a champ. Office Divvy has been a lifesaver for me. As a Realtor® that does not need office space on a full time basis, Office Divvy offers the perfect solution. The staff is WONDERFUL and it's a pleasure to bring customers there and a true comfort to know there will be a pleasant, smiling and accommodating person to greet us. The assistance I have gotten with advertising and networking has been invaluable. All types of programs for all kinds of needs. I would recommend this solution to anyone. Adding a Palm Coast Office to my growing law practice has turned out to be a very positive move. With my Office Divvy membership for part time office space, I don’t have the worries that can come with a traditional office lease. As an independent attorney, having a fully staffed, furnished, wired, and equipped office, whenever I need it allows me to concentrate fully on my clients. I would recommend Office Divvy without hesitation. The team there is competent and committed to delivering an excellent experience for each member and their clients. The organic networking that happens among the members has been a nice bonus as well. ... Your staff is excellent. Katelyn, Maria, Jasmin, (and the others) are always so helpful. They really give office divvy that great feeling of welcome and professionalism. Keep up the great work! We are very impressed! Great flexible office space in the growing Palm Coast community. They have provided us with a professionally staffed space for our clients in the Palm Coast and surrounding areas. We are very pleased with our experience and would encourage those that want to expand their reach in the area to consider this provider. Top of their game! 'The World Cup' of business and vision support... - Office Divvy is an extension of your team assisting you with advancing your business and vision with invaluable tools from traditional marketing strategies and applications, to the most sophisticated technical tools available. If you don't have a "team" they become your team. Ky and Lisa are warm, caring, intelligent, creative, positive, trustworthy and motivated people. These are the characteristics sought after in any upward moving business, company and friendships. The staff is very professional and helpful. They go above and beyond to help my small business. I would highly recommend them for office space and phone services. Thanks Office Divvy! Having worked in high-priced offices in downtown Miami, I was delighted to find comparable modern and beautiful office spaces in Palm Coast at Office Divvy. The staff is exceedingly professional and savvy in business matters. Plus, Office Divvy is very much in tune with local and internet based networking, and always makes an effort to help their clients expand their business. I would definitely recommend them to anyone. What our members all have in common is that they are increasing visibility and elevating their experience while reducing overhead, and avoiding operational headaches. In addition to our membership, our high touch call desk programs are known for the anti-call center approach and savings. Most popular membership packages are outlined above. We also have options for custom plans and dedicated private offices. Call us (Mon-Fri: 8:30 am to 5:30 pm, or Sat: 9:30 am to 12:30 pm) at 386.445.4153 to discuss or to arrange for a tour of, what could be, your next offices in Palm Coast! Click the button to inquire and start the process!